Loneliness is often a major issue for many seniors today. As people age, they tend to lose more and more family members and loved ones. They may lose a spouse or find that they are no longer able to be as active as they once were. No matter what the reason, more and more seniors are spending time alone, which means they are eating most of their meals alone. While this may not seem like a very important issue, it is one that can actually be very dangerous. In fact, more and more seniors are dealing with serious health issues simply because they aren’t eating what they should be, and their issues are going undetected by friends and loved ones. For many seniors, eating alone means either not eating at all, or simply eating something quick and easy, instead of a balanced and healthy meal. Some seniors may not be able to drive to the store to get the healthy items they want, they may be overwhelmed or feel unsafe cooking, or they may simply feel as though it isn’t necessary to cook an entire meal just for themselves. This can lead to serious problems with malnutrition, which is one of the biggest issues plaguing the senior community today. While many people assume that malnutrition only impacts the poor, many seniors are falling victim to this issue, mainly because they are eating alone and not eating the way they should be. Malnutrition doesn’t just cause weight loss either. Malnourished seniors often have compromised immune systems, are more likely to develop depression and exhibit serious signs of mental confusion. One of the best things that senior caregivers can do in order to prevent these issues from forming is to try to accompany their senior loved ones during as many meals as possible. There are also other approaches that any senior caregiver can take in order to make sure that their loved one is getting the healthy meals they need. 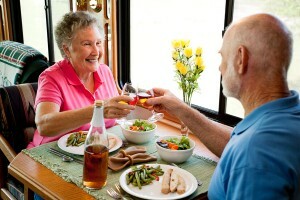 Encouraging seniors to join a social lunch or breakfast group. Make single serving meals every week and freeze them for your senior so they are easy to heat up. Make eating a social act. 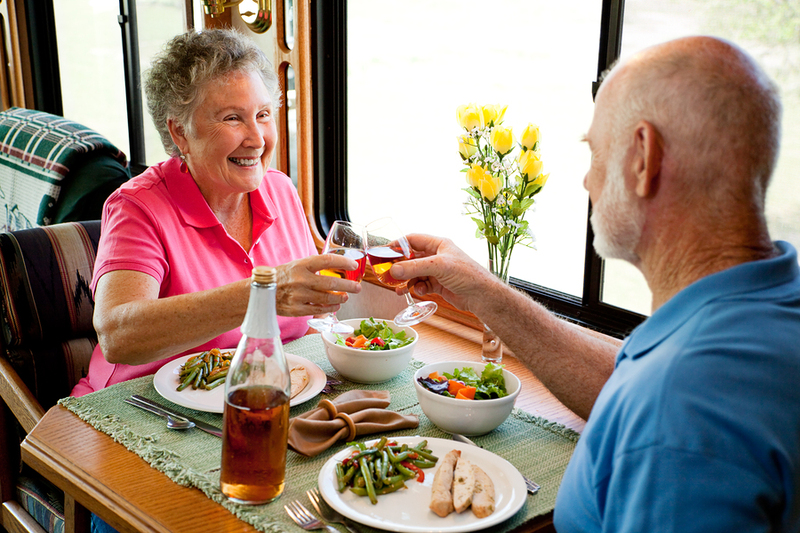 Help educate your senior loved one on the importance of healthy meals. Check in on seniors during meal time if you can’t be there in person, to make sure they are eating. Make a list of items in the refrigerator so the senior knows what is available. Do the grocery shopping for your senior so they have the right items available. Sign up for meal delivery programs. Cook together with your senior loved one. While many assume that eating alone is just another part of aging, this is actually a very serious problem that impacts many seniors today. The more that loved ones and caregivers can do to encourage seniors to eat three balanced, healthy meals every day, the better off their loved oen will be.